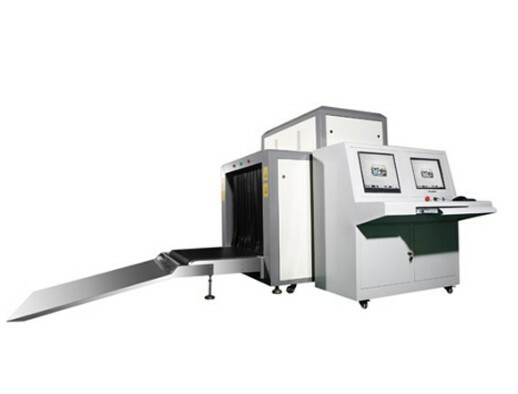 High-tech equipment and device like X-ray Screening Inspection Systems inspection systems has been widely used in such places like tour spot, gymnasium, shopping mall, Hotel and Court and other important places for safety checking. In this situation, the below X-ray Screening Inspection System appears in the market and has helped made great progress. It owns the global unique characteristics. Firstly, seen from the inspection reports issued by the Ministry of Public Security, you know that each of its parameter leading to other products. Secondly, the accessories are international-brand like American SPELLMAN X-Ray source, Japanese HAMMATSU detector and Germany INTERROLL drum. Thirdly, the energy-saving design makes this device possible to sense objects, if there are goods on it, it will work to check them, if no they will stop. Fourthly, you just need to rotate the key if you want to shutdown the machine. The one shutdown control reduces the equipment failures. Besides the environmental design can prevent the guests from being contaminate by lead. Another important point is that the screen can switch freely between the static and dynamic situation. The tunnel size of this one is 1000mm wide and 800mm high, and the max convey can reach 230kg. Otherwise, the penetration ability of it is so strong that it can penetrate a 34mm armor plate and display reliable checking results. And it has gain the Test Report from Inspection Center of State Security Ministry, CE certificate, ISO9001 certificate-German TUV, ISO14001 certificate and Radiation safety certificate from Chinese Government. In that case you can use it without worrying about safety problems. More detailed information is displayed at detectorall, wanting to know more about this product you can come here. And you will gain the high quality products with the best price. You product is excellent with both good quality and sound price. nice after sales service, thanks. Great seller! Extremely fast delivery. Would do business again. Thank you.